In 2016 I had the unique chance to get my meat tested for its fatty acid profile. Organic Alberta and Young Agrarians had arranged this test with the faculty of medicine at the University of Toronto. They tested the meat and milk of a selected group of pasture-raised livestock and organic dairy producers in Alberta with the goal to learn more about the fatty acid profile in those products and the Omega 3 to 6 ratios in the fat. The fat of beef and pork raised in a conventional farming system has a very high amount of omega-6 fatty acids caused by a diet based on high amounts of grain. The ratio from omega-6 to omega-3 fatty acids in conventional beef and pork usually ranges between 30-1 to 40-1. Conventional raised poultry however has an even worse fatty acid profile for human health with literally no omega-3. Unfortunately, a diet high in omega-6 for humans has been linked to several health issues such as depression, autoimmune disease, and cardiovascular disease. By eating high amounts of greens, pasture raised chickens have a high amount of omega-3 which not only converts into a much nicer eating experience but makes the meat a lot more suitable for human consumption. Omega-3 is essential for keeping a healthy functioning body as it plays a vital part in a properly functioning cell membrane in most human cells. As humans, like most mammals, cannot synthesize omega-3 in the body it has to be obtained through their diet. The faculty did not just look at the ratio of omega-3 to omega-6 but also looked the types of omega-3 contained in the meat. There are three types of omega-3 fatty acids involved in human physiology. 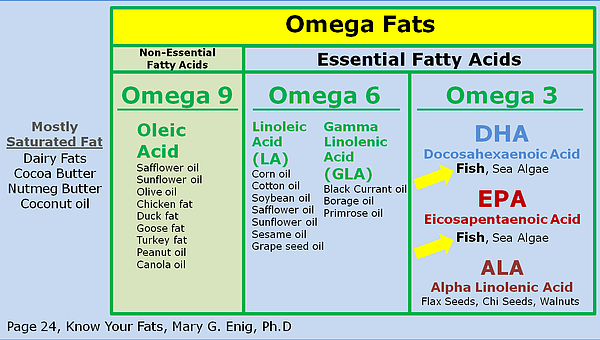 Alpha-linolenic acid (ALA) which is found in plant oils, especially flax seeds. Eicosapentaenoic acid (EPA), and docosahexaeonic acid (DHA) are both commonly found in marine oils like fatty deep-sea fish. There has been a lot of evidence that communities close to the sea who consume diets high in EPA and DHA are in better health and especially have a very low risk of cardiovascular disease than people that for example don’t have acccess to fresh sea food. Some poultry producers try to achieve a better omega-3 to omega-6 ratio by feeding flax seeds. Even though barn raised and grain fed, these chickens can sometimes have an even better omega-6 to 3 ratio than grass-fed beef, but the omega-3 fat only contains the ADA. Pasture raised chickens on the other hand showed a significantly high amount of EPA and DHA contained in the fat. As these “fish oils” are usually only found in deep sea fish, shell fish, squid and krill, pastured poultry truly is “the fish of the prairies”. With more and more evidence showing up in the media lately that farmed fish operations like farmed salmon are neither sustainable nor very healthy, pastured poultry proves to be a vital option to keep a balanced omega-3 diet.